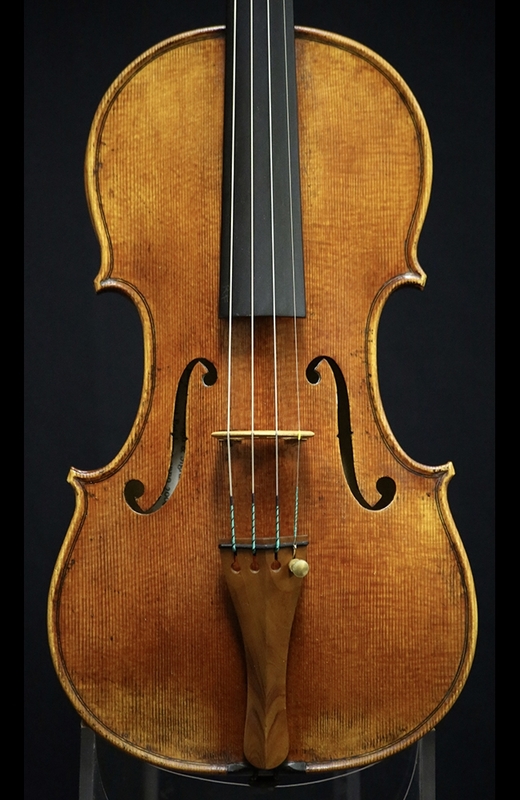 Description: Joseph Grubaugh & Sigrun Seifert started crafting fine instruments in 1972. 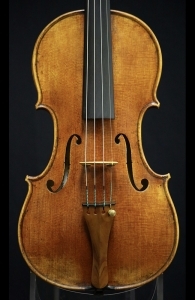 Sigrun comes from a musical and artistic family and began her studies at the violin making school in Mittenwald, Germany. Joseph studied music and received a high degree from the University of the Pacific Conservatory of Music and started his apprenticeship with A. C. Muller. Joseph and Sigrun met at the shop of Hans Weisshar in Los Angeles in 1977 where Sigrun had already been working for a year. 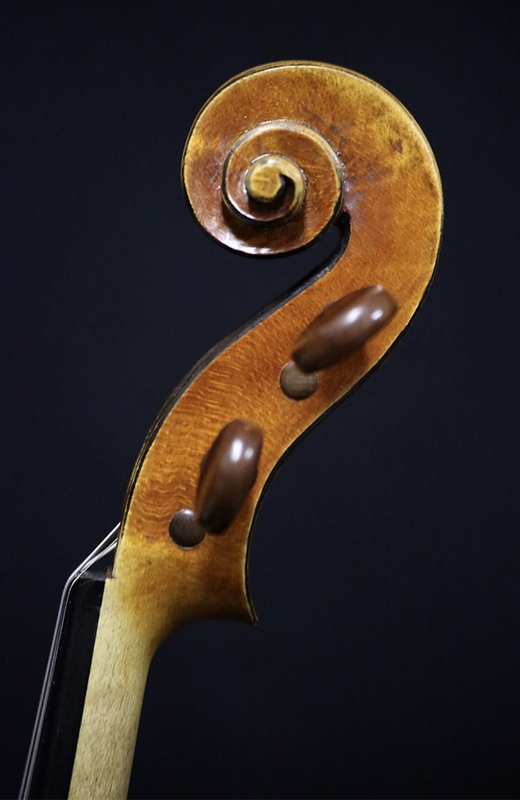 In 1979, they moved to San Francisco and a year later to Petaluma which is a small Victorian River town, north of the golden gate bridge, where they continue to craft fine instruments together. 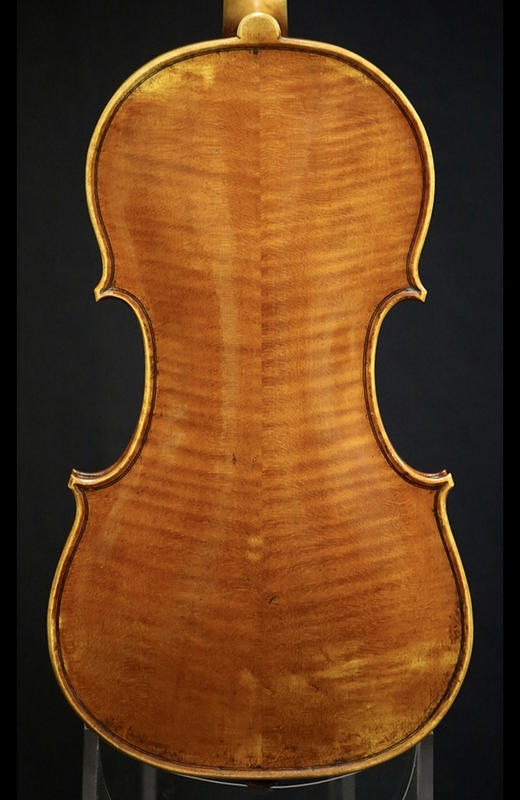 This particular violin based on a Guarneri Del Gesu from 1739 is in mint condition and produces a full, rich tone across the strings. Back Length: 35.3 cm.